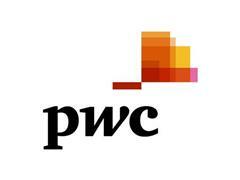 PwC's Sustainability & Climate Change team comment on the implications of the Carbon Disclosure Project Global 500 Report findings released today, which was co-written by PwC. Fewer than half of responding companies report a decline in their emissions solely attributable to emission reductions activities, prompting the possibility of a rise in emissions globally with economic recovery. The average of the longer term absolute targets outlined by CDP respondents is drastically too low, at around a 1% reduction per year. The average longer-term target for companies' emissions reductions is currently only 1% per year, well below the 4% required by countries to limit global warming to 2°C. "Even with progress year on year, the reality is the level of corporate and national ambition on emissions reduction is nowhere near what is required. "The new normal for businesses is a period of high uncertainty, subdued growth and volatile commodity prices. If regulatory certainty doesn't come soon, businesses' ability to plan and act, particularly around energy, supply chain and risk, could be anything but 'normal'." "On the surface, the fact that 20% of companies have adopted long term targets to 2020 is encouraging. The issue of energy consumption and emissions is registering in the long term strategy of firms. But the average of these targets is only 1%, less than a quarter of what's needed to limit climate change impacts to 2°C." In their responses to CDP, 49% of companies state that regulation is an important driver of corporate action. "Companies are responding as best they can in the current legislative and regulatory environment. But CEOs can't make major investments decisions based on the grand statements made by governments in Rio and at climate summits. They need investment-grade policies. "Governments have not translated their declarations in Durban into more ambitious legislation, or long-term emissions targets, at the national level. The low level of corporate ambition is probably a reflection of this. "There is little sign of companies breaking the underlying link between economic output and emissions, but with many integrating climate change into their strategies, business will be in a better position to invest if policy issues are resolved. "The economic slowdown led to staff reductions, closure of plants, offices and shops, reductions in output, manufacturing, and business travel, not to mention corporate and consumer spending. So while the recession has been good for carbon emissions, it's the right result for the wrong reasons. "Companies are making short term operational or efficiency investments to reduce emissions but not the longer term capital investments. The concern is that as the economy picks up again, emissions will rise too. "We're still on the same carbon intensive track. We haven't addressed the underlying technology, investment or strategy issues. Any economic recovery will be matched by a bounce back in emissions as well, and with it we're seeing the goal of limiting climate change to 2°C slipping further out of reach." The percentage of companies reporting physical risk as current has jumped significantly from 10% in 2010 to 37% in 2012. 81% of companies now report physical risks (2011: 71%). "Extreme weather events have become more common, and unpredictability looks set to increase. Preparation is everything. Businesses that have failed to prepare will find it difficult to keep their operations running smoothly as the risk of disruption increases. "The question for investors and shareholders is how resilient is a business to this kind of disruption. While the aggregate cost of bad weather over a winter may not significantly impact national and regional GDP, daily productivity losses are a direct cost to business. In 2011, PwC estimated that the cost of one incident of storm force winds in Scotland could be up to £100m. With potential impacts on transport, power supplies, and disruption to other critical essential supplies, businesses need to act now to ensure they can continue to deliver their most critical services, and that is embedded in their long term business planning. "Businesses that have made plans will be in a much stronger position but for others, there are things that can be done to reduce the impact. "Global companies are by the nature of their multi-national supply chains becoming more exposed to frequent and increasingly severe extreme weather events. Agility in the face of uncertainty and an awareness of how climate risks might influence their longer term resilience will be key to businesses survival." The CDP report, is co-written by professional services firm PwC on behalf of CDP's 655 institutional investors representing $78 trillion in assets, provides an annual update on greenhouse gas emissions data and climate change strategies at the world's largest public corporations. This year has seen a 10% increase year-on-year in companies integrating climate change into their business strategies (2012: 78%, 2011: 68%), contributing to a 14.8% reduction in reported corporate greenhouse gas emissions from 3.6 billion metric tons in 2009 as the financial slowdown began to take hold, to 3.1 billion metric tons in 2012. The fall is equivalent to closing 227 coal-fired power stations or taking 138 million cars off the road. A third of companies (31%) however reported no emissions reductions at all.